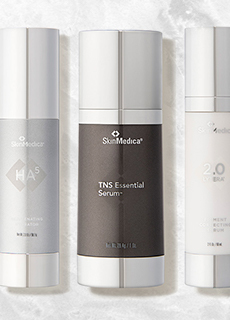 A powerful hyaluronic acid serum formulated for all skin types including post-procedure, offering intense daily hydration. Quench your skin with this hyaluronic acid power player, a corrective serum packed with benefits for all skin types (even sensitive and post-procedure). 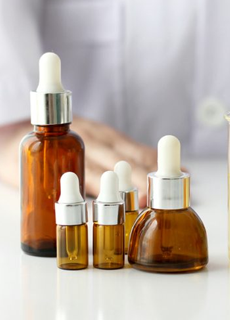 Hyaluronic acid is a skin care hero for its ability to bind a lot of water to each molecule and penetrate the skin for increased firmness, smoothness, and overall hydration. H.A. 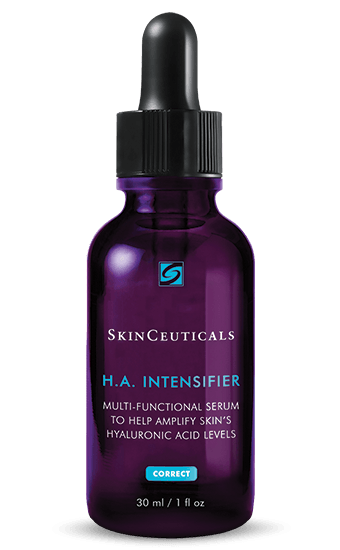 Intensifier blends hyaluronic acid with proxylane™ and extracts from purple rice and licorice root in a formula that supports skin’s natural hyaluronic acid levels, boosting them by as much as 30%. This smooth gel formula sinks in for deep hydration, improved texture, and an even, glowing complexion! Directions for Use: Gently blend 4-6 drops into face and neck, avoiding eyes and lips, 1-2x daily. Allow to absorb completely. H.A. Intensifier should be your last morning step before sunscreen, and if using at night after retinol, should be used after retinol. Consult with your physician about use post-dermal filler or other procedure.